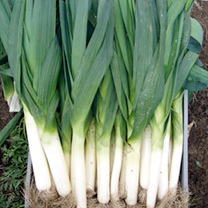 Leeks are an extremely hardy plant, it is particularly useful in cold areas and will produce a good crop under bad weather conditions. 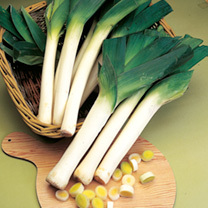 Leek seeds , leeks can be grown for at least 7 months over the year (October to April). 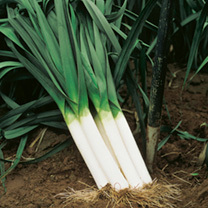 For exhibition sow your Leek seeds under glass between January and February and for general purpose sow outdoors between March and April. 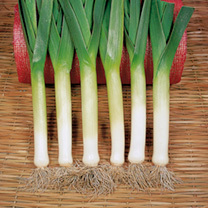 Once the leek plants are big enough to handle they need to be transplanted into holes that are 15cm deep and 23cm apart. 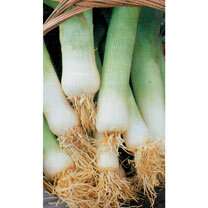 Leek seeds take 30 to 32 weeks to reach maturity. 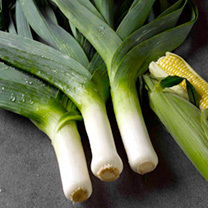 How can I prevent caterpillars eating my leeks? 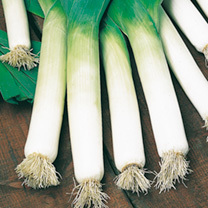 The leek moth is usually found on leeks but may also attack onions with attacks being most severe in warm dry summers. There are two generations of caterpillars which are active between May and June and again from August to October. Leek Moth Traps can be put in place during these months to trap the male moths.The caterpillars start eating down into the plant where they feed for about a month before making their way back to the upper leaves where they pupate. in a white cocoon. There are no chemicals available to control this pest instead the white cocoon should be removed as soon as they are seen. Construct a frame and cover the crop with fleece such as Envirofleece or fine netting such as Enviromesh. It is important to bury or secure the edges of the netting to prevent the adult moths getting underneath to lay their eggs on the plants. Badly infested plants should be removed and burnt. Remove all plant debris at the end of the season to reduce the available sites for over wintering adults. 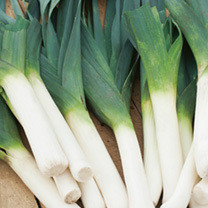 How can I control leek rust? 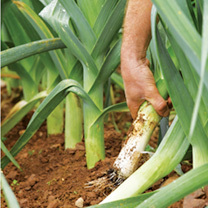 Damp, wet summers are ideal for the spread of the fungal disease leek rust. 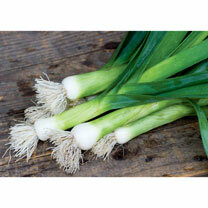 It can be widely found attacking leeks, onions, garlic, shallots and chives. Orange spores can be found on the on the leaves resulting in the foliage turning yellow and dying back. Infected foliage should be removed as soon as the symptoms are seen and in severe attacks badly afffected plants should be destroyed. Infected material should not be put on the compost heap. 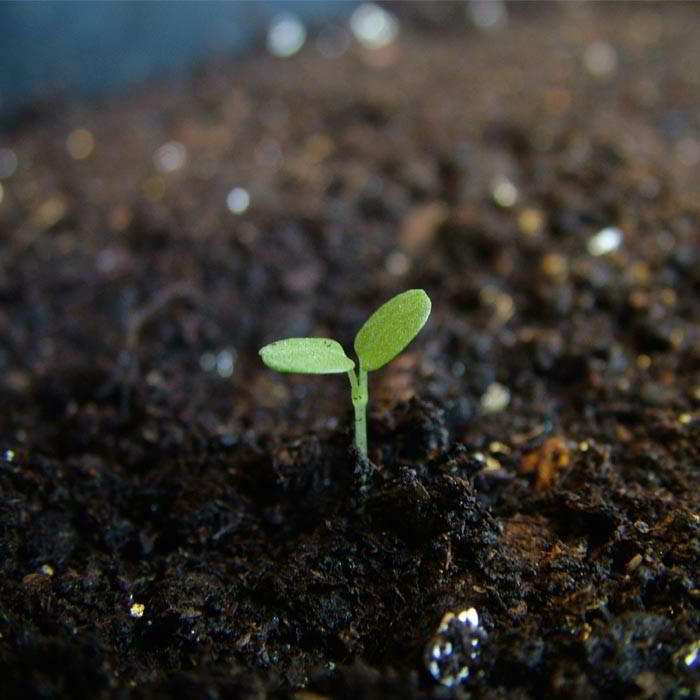 Plants grown on soils that have a high nitrogen content, or fed with a nitrogenous fertilizer, may produce softer growth which can be more prone to attack. When planting choose a well-drained site and apply Sulphate of Potash at 15-20g per sq. metre to help toughen the growth. Planting at wider spacings will improve air movement around the plants, reducing the risk of attack, as will working on a rotation of 4-5 years , if possible, between susceptible crops. 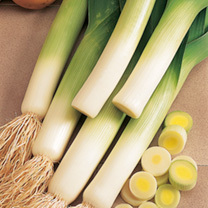 Can I grow Leek's in pots? 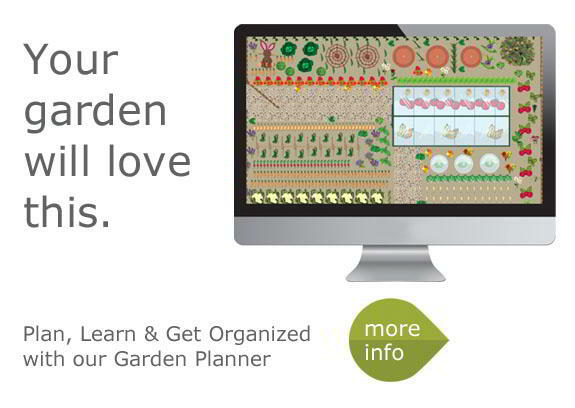 Garden space is very often limited so growing vegetables in pots is becoming more and more popular. 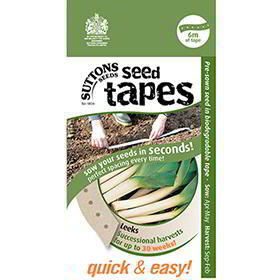 Plants suitable include aubergine, runner beans, french beans, beetroot, carrot, courgette, marrow, leek, lettuce, parsnip, pepper, leaf beet, leaf salad, salad onions, strawberries, tomatoes and turnips. 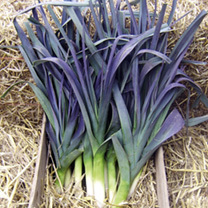 The choice of container depends on the size of the plant but it should be at least 23-25cm (9-10") in diameter. 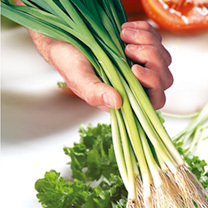 If you are growing vegetables like leeks or potatoes, or any other root crops, you will need a deeper container. Salads and herbs will be fine in a shallower pot. The pots can be ornamental or simple but it is worth noting that terracotta is likely to dry out quicker than plastic and will require more frequent watering. Multipurpose peat based or peat free composts are suitable but for taller crops a John Innes compost can be better as being soil based, it is denser and heavier adding stability to the container.